In this recipe I show you how to make restaurant style methi matar malai. As you know that this is also served in every indian restaurant just like shahi paneer, paneer butter masala or matar paneer. 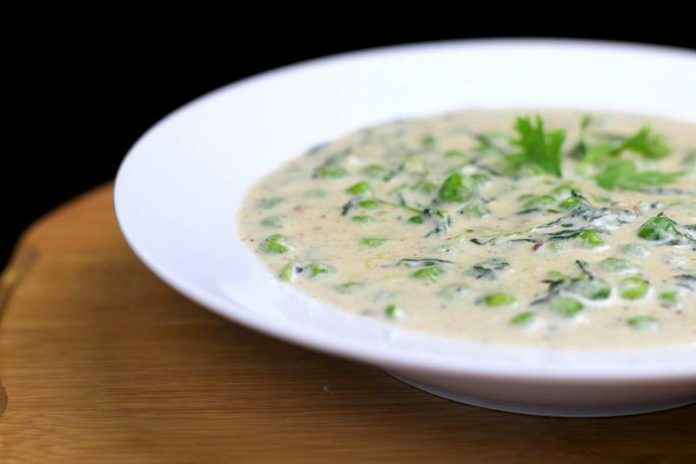 Unlike other indian curries, methi matar malai is very less spicy. Also the colour of this curry is very different from the other vibrant looking indian curries. 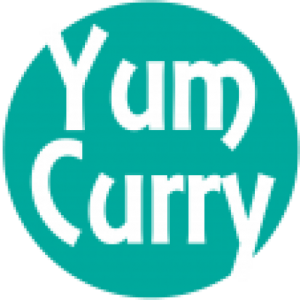 I love this curry when I don’t feel like eating spicy food and also wants to eat healthy food. In this recipe I have tried to make it like they serve in restaurant. For that to remove the bitterness from methi or fenugreek, I boiled it and then squeezed out all the water from it. Some people will feel that I have removed all the good things from methi by boiling and discarding the water but guys if you feel like you can definitely use that water, also do you always eat healthy food? 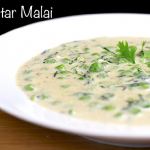 This recipe requires cream, please do not skit it, otherwise it won’t be methi matar malai. Also you can increase the amount of methi used as per your taste. Hope you enjoy this recipe from my kitchen. Do not forget to leave a comment and share it with your friends and family. Enjoy! Now drain this water and squeeze out all the water from methi using your palms. Now boil cashews, green chillies, ginger and onions (cut into big pieces) in some water for 5 minutes. Heat oil in a pan and add cumin seeds/jeera to it. when cumin seeds/jeera starts to crackle, add puree in it. Now add boiled methi/fenugreek leaves in it and mix well. Add coriander powder, garam masala and salt to it and mix. Add 1 cup milk (room temperature) to it and mix well. Boil the gravy for a minute. 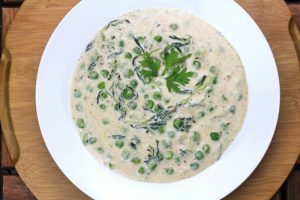 Add boiled/frozen green peas to it and cook for a minute. Now add sugar and fresh cream. Mix well. Boil for a minute then turn off the gas.